Home Feature Put it down–now! 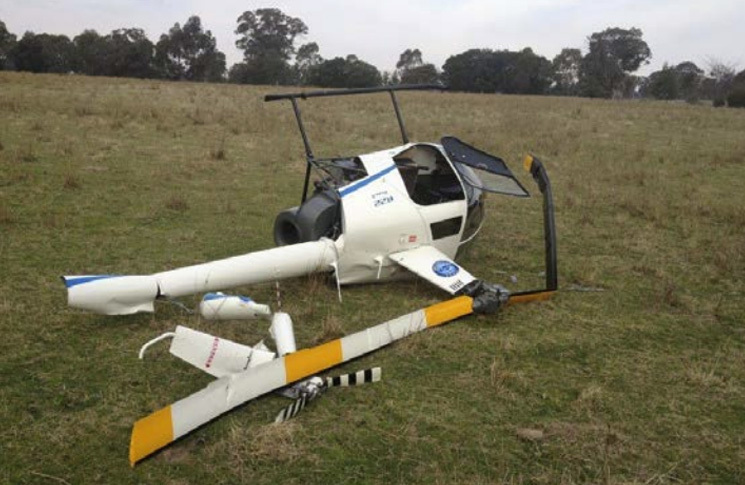 The Helicopter Association International has good advice for any rotary-wing pilot—if you think you’ve got a problem, land the damn helicopter! Reading accident reports is one of the less appealing parts of Matt Zuccaro’s job as president of the Helicopter Association International. But one bunch of grim reports gave him insight into a simple way to reduce helicopter crash rates. ‘I was reading accident reports, and started saying “right there, if a landing had been made, the accident would never have happened”. The scary part was, that as I read more reports, for almost every one I could make that statement’, he told Flight Safety Australia. A precautionary landing can head off many helicopter crashes, Zuccaro says. So why are helicopter pilots so shy about saving their own lives? Pilots normally associate precautionary landings with the police turning up, the press asking intrusive questions, their company incurring logistical and legal costs, upset passengers refusing to fly with them again, investigators and regulators requiring an explanation, and peers questioning their abilities. ‘When we asked pilots we came up with a list of things they perceived about precautionary landings and we were able to disprove every one of them. These are urban legends. Zuccaro concedes that it is better not to get into the situation of requiring a precautionary landing. ‘However, the last time I checked, none of us are perfect’, he says. Option one: focus on the situation and its safety concerns, make the precautionary landing, prevent the accident, and have confidence that once you explain your decision, everyone will support your actions. Option two: don’t make the precautionary landing and instead kill everyone on the aircraft and maybe a few more people on the ground.